Putting in new water and sanitation systems is easy—keeping them up and running for years after installation is another matter. The Rural Water Supply Network estimates that 30-40% of installed rural water points in developing countries are broken. Through a systems analysis of the ways that rural water and sanitation systems traditionally fail, the Sustainable Village Water Systems Program has developed a business model that turns these failure modes into essential elements. 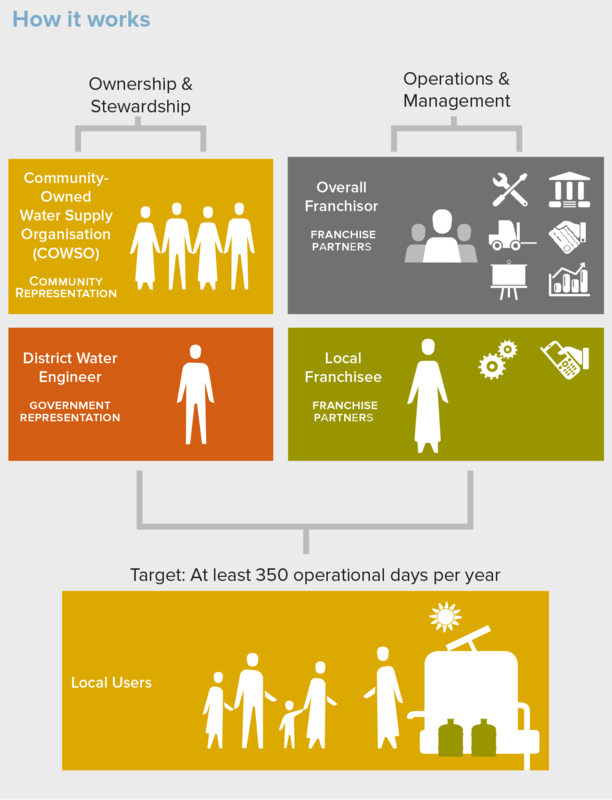 With the help of a myriad of consulting partners, from the World Bank to Masai leaders, GWI is developing its in-country franchising model for water services. But we’re open to ideas! Take a look at our latest working draft and drop us a line with comments.